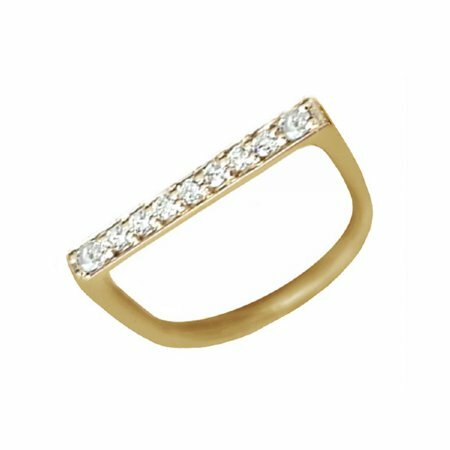 The classic, slimline design of our Cradle Ring now features a contemporary row of brilliant diamonds that can be matched and stacked with our other Cradle rings. 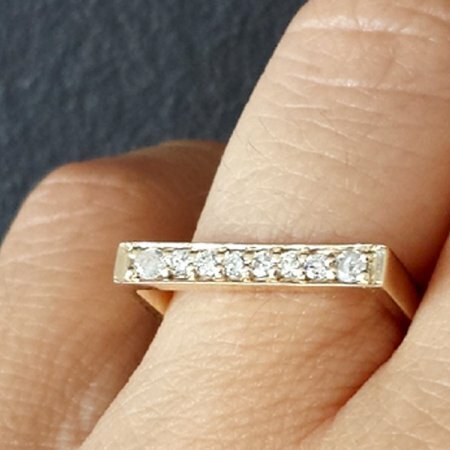 Available in rose gold, yellow gold, white gold, silver and platinum, this little stunner is also perfect for a wedding band and can accompany a custom made Cradle engagement ring. 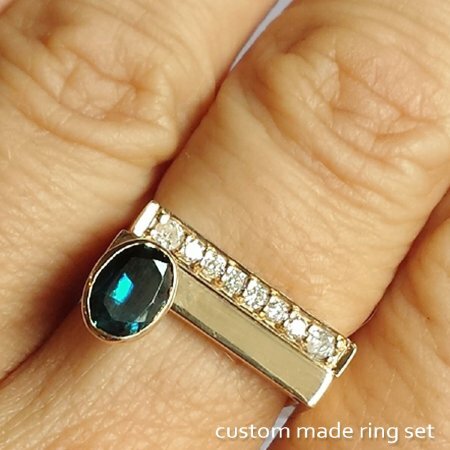 If you want to get more creative, the Cradle Pavé Ring can be made with your choice of any precious gemstones.